Alphabet wall cards encompassing all of our favorite animals from Aadvark to Zebra, with familiar and unusual animals in between (gotta get that 'X' in there somehow!). 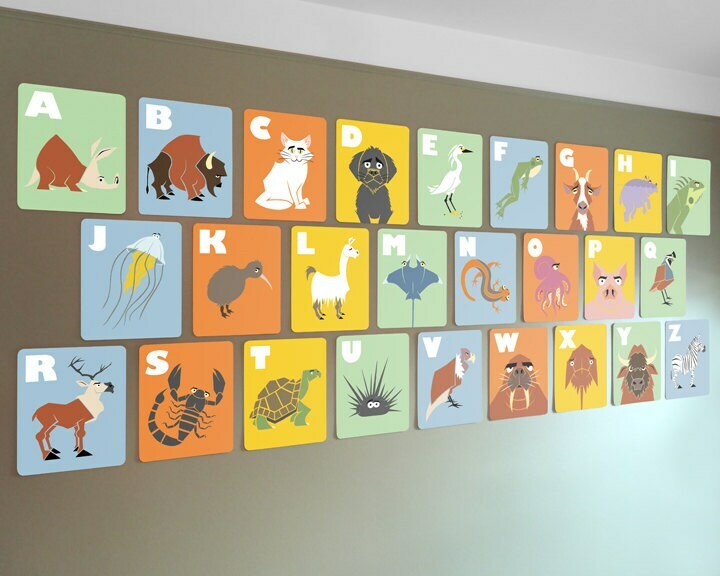 This is a full 26 letter alphabet set of wall cards, one letter per card. 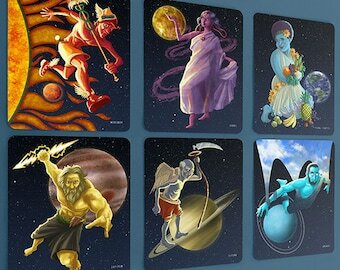 Each card is 8x10, 14pt cardstock, rounded corners, with my original design on the back. These were professionally printed at a local Michigan print shop and they are just beautiful! These wall cards are suitable and adaptable for so many purposes. You can cover one wall of your child's room, make a top-of-the-wall border, or even use as big flashcards. The wall cards ship safely with a backing and also wrapped in brown kraft paper and twine, suitable for immediate gift giving or just fun to open yourself!